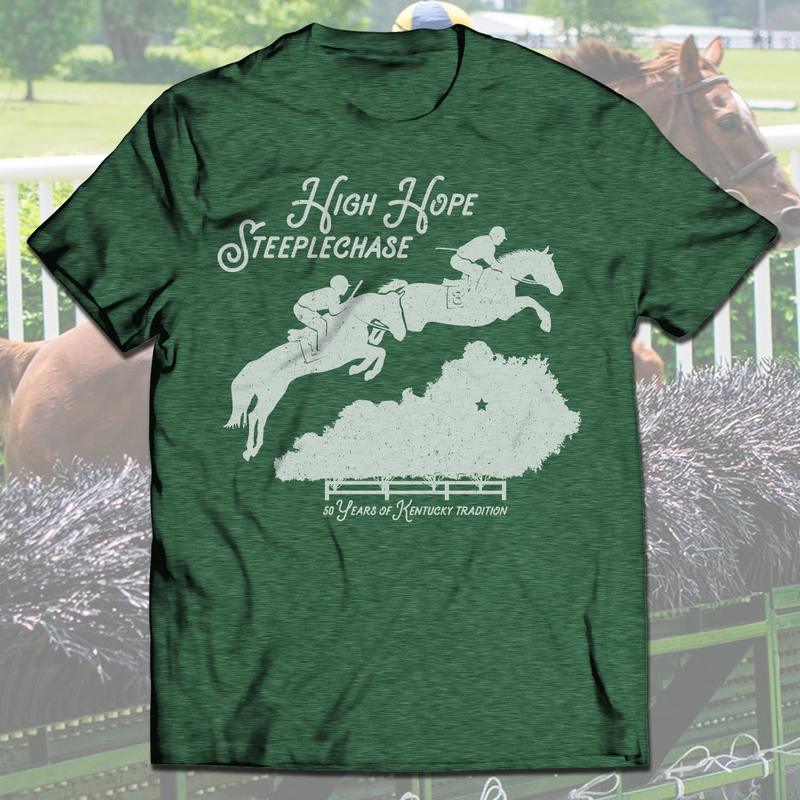 My Kentucky Tee is honored to be the official tee provider for the 2018 High Hope Steeplechase and excited to be the infield sponsor for the 50th running. We'll be onsite at the Kentucky Horse Park on race day, Sunday, September 23 with the 50th Anniversary tee and many of our Tee Of The Month tees. Purchase one of the event tees early to get yourself ready for this year's race or if you can't make it out. Tees are available in Bella+Canvas unisex tees and are $20 which includes shipping & tax. A portion of the sale has already been donated to the Kentucky Children's Hospital. Make your plans now to attend the 2018 High Hope Steeplechase. Click here for further info and to purchase your tickets. We love that the event has been moved to September. UK will be in session. It leads us up to Keeneland. And hopefully we'll avoid the May showers!